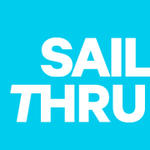 Sailthru is seeking a Strategic Account Manager to partner with our account management organization to increase product stickiness & attachment rates for our existing installed base of clients. Account Executives will work in partnership with our Customer Success & Sales teams, & will take a consultative, value-based approach to upselling Sailthrus newest & most innovative products as well as cross-selling into other parts of current client organizations. This role will report to The Director of Customer Success - East Region, & will pursue sales opportunities on an account-based model.